Kenneth Pattengale and Joey Ryan make up the LA indie-folk duo The Milk Carton kids, who recently came on a jaunt to the UK to play at the atmospheric Union Chapel in London. Naturally the style of music has drawn comparisons to the likes of Simon & Garfunkel, which the band acknowledges (… “no one wants to be Garfunkel…” Pattengale sighs). This type of comparison, as well as my prior listening to the wonderfully skilled yet somewhat over-perfect studio recordings, meant that my expectations weren’t exactly sky high as I made my way into the upper tier of the cavernous venue. The challenge was set for them to win me over, which they ultimately did. It’s not unusual to be played raucous lo-fi punk, or perhaps experimental industrial electro by a friend and then be told on revelation of a nonplussed facial expression that “really you’ve got to see it live” in a grimy pub, or a grimy warehouse, to really appreciate it. However, one doesn’t often associate this kind of thing with acoustic music, which basically sounds the same wherever you hear it, and in whatever context. Tonight is an exception though. The venue, infused as it is with spiritual significance as well as possessing amazing natural reverb and acoustics acts as an invisible third member of the group. With soft light bathing both the stage and the ceiling, sight and sound come at you from all angles in perfect cohesion. The true talent behind the pin-point vocal harmonies and finger-picked guitar work shines out. Usually I’m all for a bit of rough around the edges, adding a human element to any performance, but in this case the synchronicity between the two men is entrancing. Stand out tracks include fan favourite ‘Monterey’ and the track written about Joey’s as yet unconceived daughter ‘Charlie’. The playful topic of the latter (“we’ve been playing this for 4 years now”) highlights another unexpected positive of the night (for me, as an uninitiated at least)- they are really funny. In fact about as much weight as is put on the songs is put on stand-up routines in between tracks. Extended musings on child-birth, cats and crappy tours draw great laughs from the audience, and are skits any professional comedian would be proud of. So, for an hour and a half I find myself transfixed by these two guys performing a kind of music I’d never really considered myself a fan of. And to be honest, I still wouldn’t consider it. 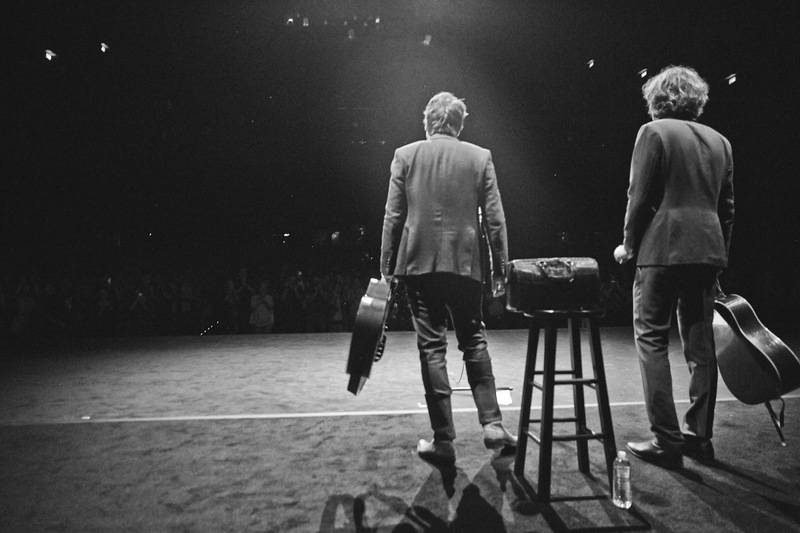 I haven’t rushed out to buy Milk Carton Kids records (or rather, listen to them on Spotify) but I would definitely take notice for the next time they come to perform near me as I now know it would a night filled with calm transcendental music and charisma. The closing cover of Pink Floyds ‘Wish You Were Here’ is a beautiful moment, and after the closing notes echo into the dark corners of the chapel, the audience rise to give two genuine music men a deserved standing ovation.